Opening to the Power of Spirit. Whether you are a beginner or wish to uplift and expand your present skills, this ‘Practice Day’ of varied Psychic Awareness & Trance States is guaranteed to open you beautifully, safely and more deeply to the incredible world of Spirit! Jennifer’s vast experience and teaching style is second to none and her understanding of your blocks and concerns will assist you to break down the invisible barriers that you may hold, so you can restore and improve your intimate relationship with Spirit. Learn how to altar your mind set and have clear communication with Spirit. Deepen your meditation and trance experience. Use trance states for your overall wellbeing. Learn some invaluable ‘Tricks of the Trade’. 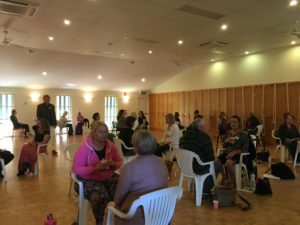 ‘Not everyone is destined to be a psychic or medium, but everyone has the right and the privilege to directly experience the power and love of the Spirit world and it is my honour to assist you to accomplish this.’ Jennifer Starlight. Please bring pad and pen for note taking and an open heart! ‘It was truly wonderful, thank you ? Loved the energy and the integrity of your teachings! VJ Sutton, Gold Coast. 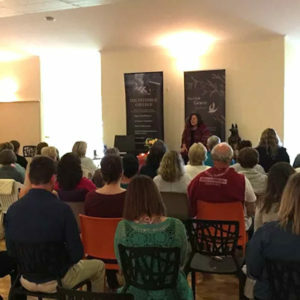 ‘These courses are a wonderful way to reconnect to Spirit and to bring your psychic awareness to the highest level. Jennifer has this amazing way of sharing knowledge in a simple way that is easily understood. I really enjoyed my part in it and it was great to be with like minded people again. Thanks Jen and Peter.’ Colleen Clarke,Gold Coast. ‘Jennifer & Peter create a warm,safe and open environment that’s fun and where you learn from people with true experience!I really enjoyed the trance channel experience,the day was brilliant! Graham, Gold Coast. Jennifer Starlight is a Gold Member of the AAS in recognition of 30 years of professionalism & dedication to the craft of Mediumship. Jennifer and Peter are proud affiliates of The Universal Blessing Group,which is a private, not-for-profit,non-government group in service to the spiritual awakening of humanity.